DiaShow Premium, the complete solution for photo shows on PC and DVD. Design slide shows individually. It does no repeat, this a Studio Premium version! Another program! After testing the program and decide on the usefulness and necessity of you, this software - you are required! remove the assembly and turn to the developer, to purchase a license for a full version. Good luck! AquaSoft DiaShow 10. Experience a whole new world of features. Stand out from the crowd with exciting videos created from your photos, video, and music. DiaShow 10 is packed with new features in every category, especially video editing. Cut, reorder, speed up, or slow down your videos, you are in full control. More than just images: your story. DiaShow 10 puts the tools for comfortable video editing in your hands plus tons of new features that allow you to customize your videos down to the last detail. You like to record videos with the camera or a mobile phone? Want to speed things up or slow things down? No problem with the new time lapse & slow motion features. Take your videos into post-production: the frame-by-frame view allows for precise cuts, ensuring that you capture the essence of your videos. Accelerate your recordings for fast rides or slow them down to give special moments more time. Edit your videos in DiaShow with the use of color, mask, and lighting effects to create stunning visual experiences. The hardware accelerated decoding works in the background to ensure smooth playback even at 4K resolution. Combine fonts and colors in one text object - in DiaShow 10 using Rich Text is finally possible. You can make each letter of your text a different color or highlight a word by making it in a different font, all without the need of several text objects. Do you want to see the author, date, or the place where your images were taken? Now your camera data and GPS information are automatically loaded and easily accessible using the variables feature. Using camera pans, zoom in on details or pan across panoramic views; in version 10, you can even add a spin. Selecting the right zoom area is now much easier, the selected segment is now outlined with a dark lined border, so you can see exactly what will be visible and what won't. You can also enjoy a newer and faster layout designer. Now scroll with the mouse wheel continuously in and out, up and down. 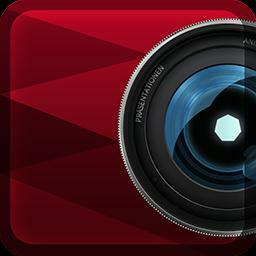 Your Enjoying your photos and videos has never been this simple. We stay on top of technical advancements to ensure that the resolution outputs in DiaShow meet the highest standards. Whether you still want to burn a DVD to give away or if you want 4K resolution, the Video Wizard offers different export options which can all be configured in Ultimate and Stages down to the last detail. - NEW! With the rich text editor, you can now use different fonts, sizes, and colors combined in a single text object. - NEW! Popular effects from the image editor can now be applied to text. - NEW! With variables, all you photo info including aperture, camera type, date and location taken are easily accessible.